Depth Control is Apple’s name for a new feature in Portrait Mode. Portrait Mode — first seen in the iPhone 7 Plus — blurs the background of a photo so that the sharp subject (usually a person) stands out against it. It uses the iPhone’s two cameras to create a 3D depth-map, so it knows how far picture elements are from the camera. 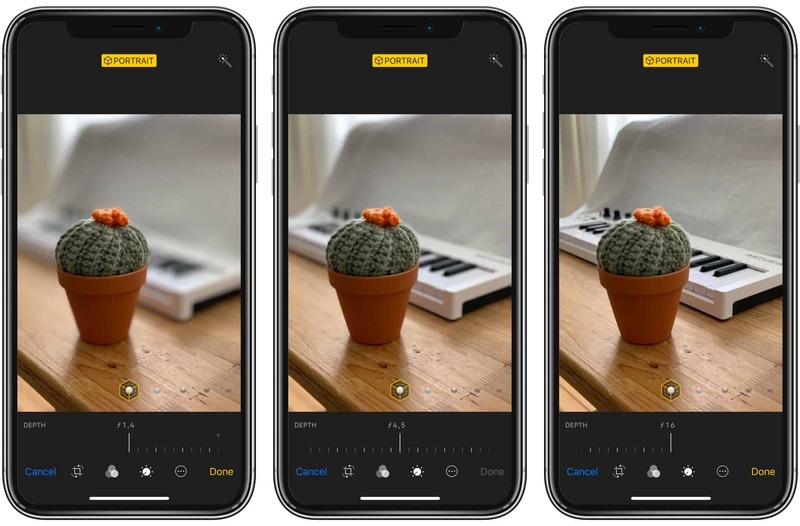 The iPhone XS and XS Max allow you to adjust the amount of blur when you’re editing a photo, using a slider. Today we’ll see how to get the best results from Depth Control. The Portrait Mode camera is pretty picky about distance. First, put your camera in Portrait Mode, by swiping the screen. To get a good portrait, you must get the subject between about two feet and eight feet away. If you’re snapping an actual portrait, this is a natural distance. On-screen instructions will guide you if you go outside these limits. You can also preview the Portrait Lighting filters when shooting, but that’s optional. Then, just shoot. The image will be captured and processed, and you can go ahead to the next stage — editing. But be aware of the following points if you want to make your Portrait Mode shot as good as possible. 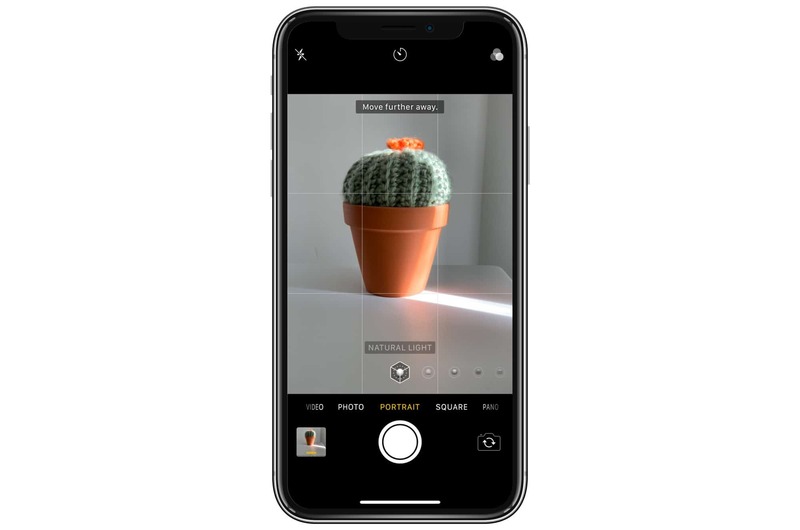 2X — On the iPhone XS and XS Max, Portrait Mode works with the 2X telephoto camera. This means you’ll have to stand a little further back, but it also means that the result will be more flattering. Because you’re not pushing the camera up in the subject’s face, their face won’t be so distorted. Make sure you have great light. The iPhone XS camera has incredible low-light performance, but Portrait Mode really likes light. Also, the 2X camera is less sensitive, so needs more light. Portrait Mode works for any photo, not just portraits. 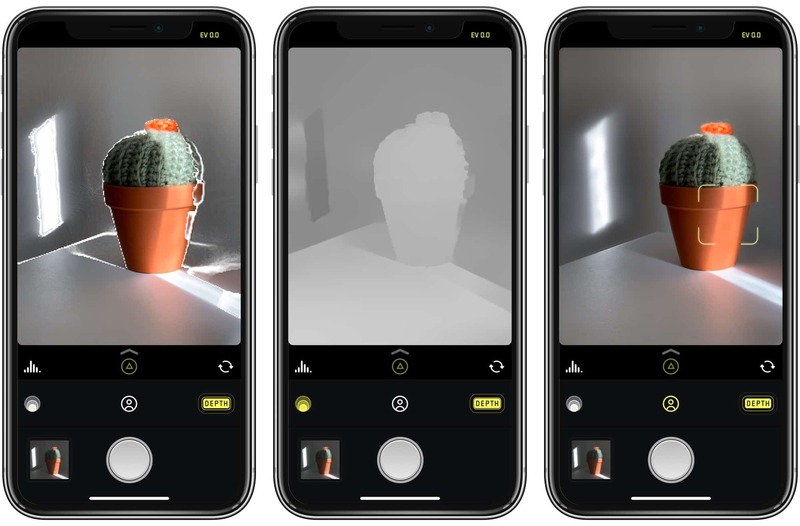 However, if the iPhone XS recognizes a face in the photo, it will lock onto it and generate a super-detailed HD Portrait Map. This captures double the detail of the regular 3D map, and even captures stray hairs around the face. To edit a photo with Depth Control, just open up the Photos app, and tap Edit at the top right corner of the screen. You’ll see the new Depth Control slider below the photo (or to the side if you’re holding the iPhone horizontally. From wide to telephoto — the extremes of Depth Control on iPhone XS. Bonus tip: you can use the Depth Control slider on any of your devices, as long as they’re running iOS 12. This means that you can shoot on an iPhone XS, but edit on your iPad. The slider is marked with numbers, running from ƒ1.4 to ƒ16. These correspond to the aperture settings on the lens. Adjusting the aperture on a bigger camera affects the amount of background blur. This slider simulates that. All you really need to know is that moving this slider changes the amount of blur. The default is ƒ4.5, and this is usually about right. You can edit Depth Control on any device running iOS 12 — even an iPad. To toggle Portrait Mode on and off, tap the yellow Portrait label at the top of the screen. You can also adjust the Portrait Lighting on this screen, and its result will depend on the amount of Depth Control blur you add. Sometimes, the photo is marked with the Portrait label, but the Depth Control sliders refuse to appear. In this case, use an app like Slør (below), to make the blur edit. 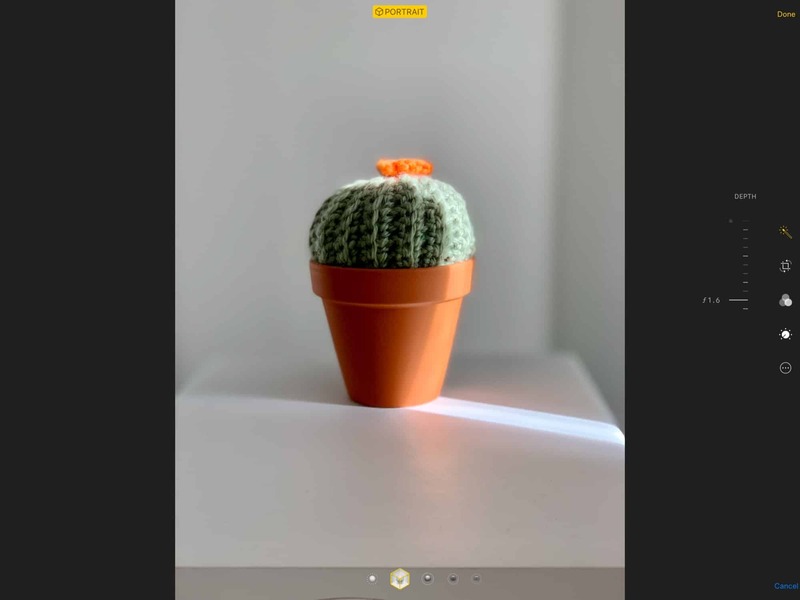 Halide has features unavailable in the native camera app. Halide’s depth mode is great because it doesn’t impose strict distance limits like the Camera app. On the other hand, sometimes this doesn’t result in very usable depth maps. Finally, Apollo uses the depth map to let you re-light the scene, which is pretty wild, and way, way better than Apple’s lame-o Portrait Lighting. You can of course edit your Depth Control pictures in other apps, but be aware that the depth blur will then be “baked in,” and no longer editable. That’s not usually a problem. The “right” amount of blur for an image is usually pretty obvious right away. To get around this, you can always edit a duplicate. Also, any of the built-in filters in the iOS Photos app do not lock in the blur amount. You can move back and forth as much as you like. Another note on those built-in filters: They’re much better on iPhone XS photos. Take my favorite filter, Dramatic Cool. On iPhone XS photos, the effect is still dramatic and cool, but is much more natural-feeling. On some images, it actually looks more neutral than using no filter. So, if you gave up on the built-in filters, try them again. 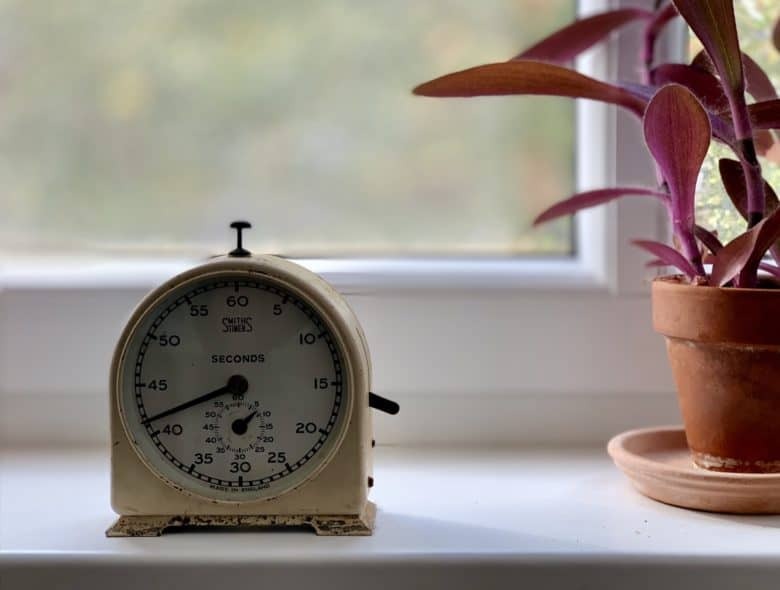 If you take any particularly rad depth photos with your iPhone XS, let us know on Twitter. I’d love to see them, so make sure you tag me in them too. Note: We originally published this story on Oct. 8, 2018. It has been updated.